I was once again in the city of Varanasi to address the youth of IT BHU, and as is my wont, I was going around the ‘Galis’ imbuing the smell and absorbing the visual milieu while looking for the silks the city is known for. As it was already late evening, I came across closed shops. Thankfully, one of the rickshawalas advised me to go to the traditional ‘kapda-market’ (cloth) where the lalas (traditional cloth merchants) still keep the shops open till late evenings. I managed to walk through the packed gallis of the old city’s wholesale markets one after the other – vessels, cosmetic and items of ladies interest, plastic and packaging material… and finally arrived at the kapda market (cloth) only to find just a few shops still open. Though I did not find what I was looking for, but there were items that grabbed my attention and I ended up buying a few pieces. I finished my shopping and was back into the gallis this time finding my way out of the market place, towards the hotel where I was put up. 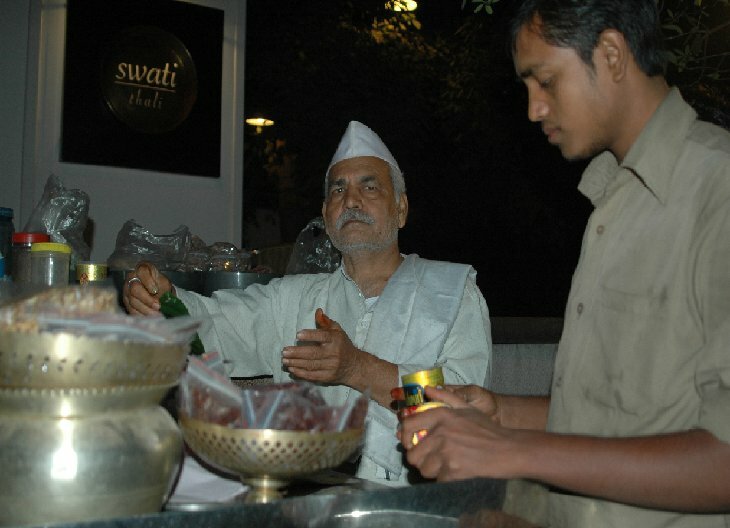 Like any Indian city, especially in the old city, you will come across small traditional eateries. While rushing to the cloth market, though I was tempted to stop by many of these eateries, each serving some delicacy or other, I told myself that first I will buy the silk cloth pieces, then will stop at an eatery. Now that I was done with shopping, my eyes fell on thellawalas (push cart) selling tikki and golgappas, devised interestingly unique to the city. I parked myself by these thellas and asked them to serve their delicacies, first was the tikki (fried potato dumpling) with a few chatnies (spicy liquids). A different look and taste from the usual Delhi one I realized. The tikki is not that fried and when they serve. It is beaten and becomes just a gooey dal like with tangy and spicy chatnies. It’s different. Then I asked the neighboring thellawala to serve the golgappas. To my surprise, the treatment of the golgappas too was different. He served with curd, tangy Chatney, spicy chili slices and sliced onions. Wah, what a taste! After having a fill, I was a little curious, as usual, to really understand their business model and profitability. I was surprised when the golgappawala shared that he comes to this favorite corner of Naisadak in Varanasi at 5pm and finishes his wares by 10pm. During the course of these five hours, 7000 golgappas made by the family in the morning gets sold. 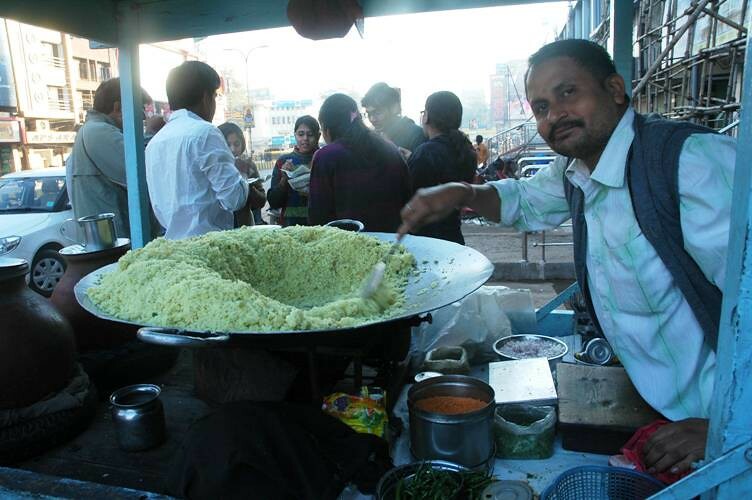 With every plate served has 6 golgappas, for which he charges Rs. 10/-, the thellawala makes a cool 7k if not 10k every day! That amounts to almost 2 Lakhs a month! I was addressing the young graduates at IT BHU, one of the most premier institutions of India, this morning, I shared this story along with the stories of Gyanendra pandey of Husk-power systems and Nirmal’s G-Auto. The audience were stunned to silence. I could see the awe on some faces while I could see shame on some. One commented that after four years and five years of studies in the prestigious institution, they end up with offers of 3-4 Lakhs that they take pride in. And these stories shook them, woke them from slumber. Following this, there was a short exercise of written ability test, wherein I had asked them to write about – what I can be of value to your institution / company? As all of them are either seeking a placement or thinking of belling the CAT and getting into ions of the IIMs. They were expecting a topic of currency and were taken aback at this topic. The next 20min ended up being an exercise in introspection, for the most. Finally, as the session was meandering to its end, I threw a question – “what is the one thing you are carrying home from this session?”..
Later I was delighted to interview a couple of candidates who are very focused and have charted their career priorities too. My travel itinerary crisscrosses across the country to motivate youngsters to get into the best of the institutions like IIMs, IITs, NLS etc and then excel in life. I make it a point that on every visit to a city, I look for a few exciting personalities, amazing characters, yet unknown and unsung. They are heroes in their own right. When I interact with these unsung, I find them either happy and self-contended with what they are doing, or find themselves ill-equipped to take their business to next level. Most are looking for a young, dynamic youngster with a vision, well-equipped to facilitate their business to the next level. This is where I wonder what a young entrepreneurial-spirited MBA can do? Unfortunately every MBA is seeking a job, and almost every B-school is a glorified placement agency! Can we challenge the young to create success stories. In the next part of my series, Unsung heroes, I am covering yet another inspiring gentleman, this time from Madurai, who is serving the hungry – you and me. I took a night state transport bus from Kochi to Madurai this march. It took me eight hours and I disembarked in Madurai at 5am. Jayant and Guhan, two of my CL friends, picked me from the bus stand in Madurai and took me to a ‘modest’ hotel. For me it was a luxury. Since my day was choc-o-block from 10:30, I wanted to visit the city, especially Minakshi temple and the old city before the day begins. Ponnuchammy showed the flex board behind him and went on to share the medicinal and health values of the herbs in the pictures. They were in all about 12 Soup ideas that he generated. He shared that he keeps three of these soups every day, and the soups change every day of the week. Asking a few questions about my health, he suggested that I have a particular soup. And I did. I was a little curious to know more about the business. 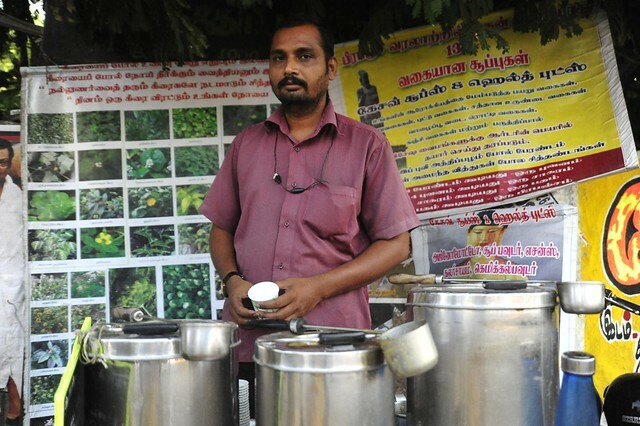 Ponnuchammy starts his day early at 2:30am with cleaning, gleaning and boiling the herbs and creating the soup concoctions that get ready by 6am. He transports them to the road-side shop of his by 7am and he exhausts all of his stock by 10am. Costs are bare minimal. He may end up with a margin of 80%. 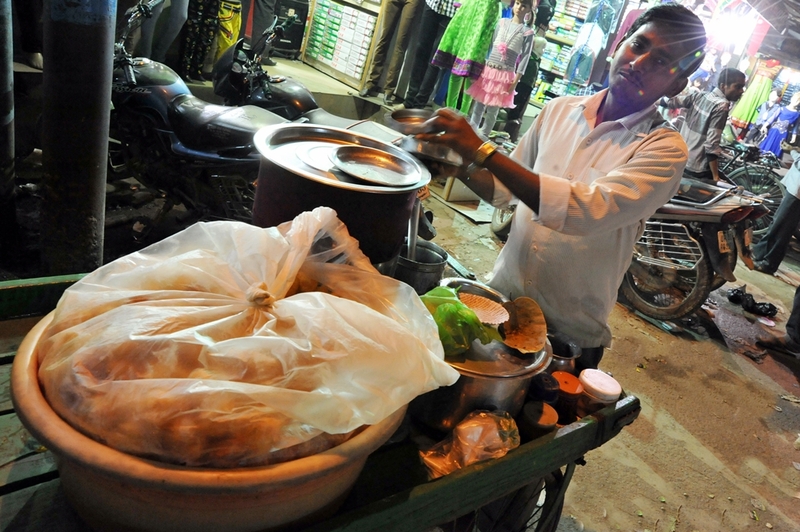 A 40-lakh profit business for a young man at the street corner is no mean achievement. An MBA will take ages to reach such a handsome earnings in his career. Here is the great irony. Business schools have Become glorified placement agencies and MBA, aspirants think, passport for a job. Passion and perseverance brings the rewards. None better than being an entrepreneur. If Ponnuchammy can make it, can you and I, with an MBA can take a similar business to a multi-million dollar multi-country business for sure. Study closely how Haldirams, Bikanerwala, Saravanabhavan and many from this ilk have transcended now. If Yoga can happen, any business can. Take charge of your every day and your life! forwarded by a friend to Rama Ananth who posted it on Facebook. I stumbled upon it and found fascinating, hence posted here. Thanks Rama, thanks to her friend.. It is a great inspirational interaction and shows how not to go by looks or by the work one is engaged in. There is a great deal of learning in engaging and interacting with every individual. It is like my series on unsung heroes, with whom my interactions have been yielding immense insights. There were two rickshaw-walas vying for our business when we wanted to go to Sankat-Mochan temple in Benaras. I agreed to go with the one who was about 20, seemed like a regular young rickshaw-wala, but I found something interesting about this fellow in his eyes. I was not proved wrong. He wanted Rs 50, we said Rs 30. We settled for 40. “haan, achchi hai”, I agreed. I was shocked. Swati continued to laugh. He said “arrey, rehene do” or some words to that effect. He didnt think too highly of me apparently anymore. In a minute we reached our destination. We got off and I told him that he must and should definitely study more, and that I think he is sharp as hell. He took only Rs 30, smiled and began to leave. I got my camera out and said “Raju, ek photo leta hoon tumhari”. He waved me off, dismissed the idea and rode off before I could say anything more….leaving me feeling high and dry like a spurned lover. Damn, what a ride that was! India is changing, and changing fast. The smart Rickshaw wala. This picture, I found in the website: Impressions of India. I really liked this picture for it suited the main character in the story.